(As some may have noticed, it's been a while since my last blog post. 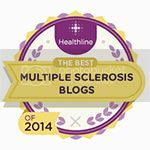 This is in part due to some of my recent struggles with progressive MS and its attendant and ever-increasing obstacles, but also too because I think I'm suffering from a little bit of "blogger fatigue". 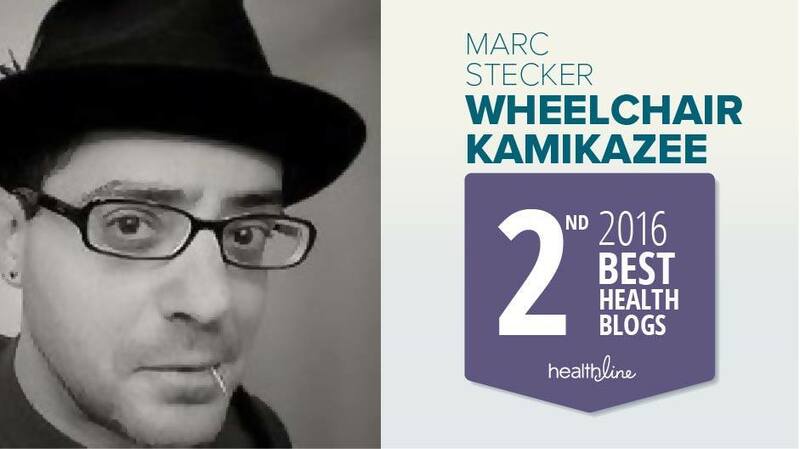 I've been writing this blog since February 2009, or almost 7 1/2 years, an endeavor that has truly been a labor of love that has rewarded me in ways I never could've imagined when I first came up with the name "Wheelchair Kamikaze". Still, of late I have been finding my motivation levels a bit depleted, so rather than shortchange readers by putting out essays produced more out of obligation than dedication, perhaps it's best that I take a little break. I'm certainly not talking months, probably only a few weeks, but I think just a short vacation from being The Wheelchair Kamikaze will do Marc some good. I hope you understand. 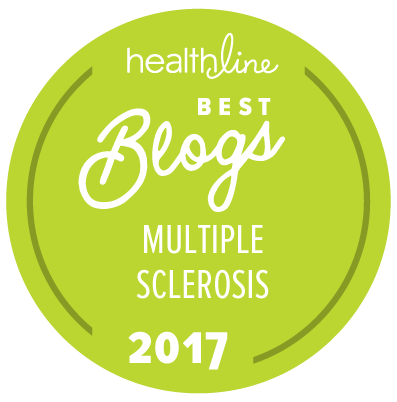 Living life with a chronic illness such as Multiple Sclerosis gives one an inside view of the medical establishment, a view that healthy people rarely glimpse. In the blissful ignorance of good health, modern medicine appears to be bright and shiny, a miracle machine complete with magical elixirs, futuristic technology, and a sophisticated understanding of the maladies that strike human beings. Headlines and television news anchors shout about the latest medical breakthroughs, and a stream of television commercials assure us that there are pharmaceutical remedies for everything from cancer to osteoporosis to erectile dysfunction. Once sick and thrust into the belly of the beast, though, this illusion starts to fall away, and a different reality emerges. Although there have been some incredible advances made in our efforts to heal sick humans over the last 50 years, there are still vast swathes of patient populations whose illnesses remain poorly understood, insufficiently and ineffectively treated, and ultimately incurable. Problematically, many of these patient populations generate billions and billions of dollars for the modern medical hierarchy, a situation that sets up a paradox within our profit driven medical establishment. Cure these patients, and vast sums of money and an elaborate infrastructure would simply evaporate; keep them perpetually reliant on hyper expensive medicines and medical procedures, and reap the fruits of an unending money machine. Before I am accused of being a conspiracy nut, let me state outright that I do not believe that there is a cabal of evil, mustache twisting, demonic connivers assembled around a huge flaming conference table, snacking on deep-fried baby’s arms while plotting to keep cures and remedies hidden and out of reach from the desperately ill. If this were the case, the solution would be fairly straightforward; simply "out" the conspirators, and the walls would come tumbling down. Rather, the problem has become incorporated into the system itself, insidious and inherent, the logical outcome of the evolution of a medical industrial establishment that has come to view sick people as consumers and horrendous illnesses as opportunities for tremendous financial gain. This system does not require people with malicious intent to keep it functioning; it only needs decent people doing their appointed jobs to the best of their abilities to keep the gears turning. As previously stated, the past 40 or 50 years have seen some incredible medical advances, most of them in the fields of surgery and in the treatment of traumatic injuries and infectious illnesses. Organ transplants, less invasive surgical techniques, and an ever increasing understanding of human physiology have combined to put a shine on many facets of modern medicine. A patient's chances of surviving a heart attack, or avoiding having one in the first place, are much better now than in 1950. Knee injuries that in decades past would have necessitated complex and sometimes crippling surgery can now be done using arthroscopic techniques requiring only tiny incisions, with recovery times measured in a few short weeks rather than many grueling months. 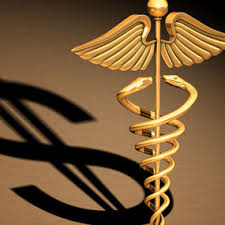 The job of a publicly traded pharmaceutical company CEO is to constantly drive up the price of his company's stock, not to facilitate the creation of drugs that would be of the most benefit to the patients taking them. This isn't a question of morality, but of economics. The drug companies, and those who manage them, are merely doing what every other business endeavors to do in our free-market capitalist system, to constantly increase profit. I'm all for free-market capitalism; in recorded history there has been no better economic driver and creator of wealth. Unfortunately, when applied to healthcare, in many cases good economics has led to very bad medicine. The corroding influence of big money, in addition to an environment of lax regulation, has led to some shocking abuses of the system, such as the marketing of drugs that are known to be dangerous (click here for info), and the suppression of studies whose results are unfavorable to the drug being tested (click here for info). Since the mission of pharmaceutical companies is to generate the most bang for their research bucks, they direct their research dollars to projects that have the best possibility of leading to substantial profit. This, in turn, influences the behavior of even the most well-meaning medical researchers, who, just like everybody else, need to feed their families and pay their bills, and who naturally seek to advance their careers. Thus, they are drawn to investigations that will most likely win hotly contested research dollars. That funding, the vast majority of which comes from the big pharmaceutical companies, goes almost exclusively into researching novel compounds that can be patented and remain the sole property of the company that discovers them for many profitable years. This same dynamic inherently underfunds research seeking to eradicate diseases that have each, in effect, become multibillion dollar a year industries. This is not because of evil or malicious intent, but instead is the result of the economic engine that drives what can be called the "medical industrial complex", the misguided marriage between profit-seeking corporations and the healthcare industry, which requires a perpetual supply of sick people to keep the money flowing. This need for patients is so intense that it can sometimes lead previously untreated and relatively benign conditions to be deemed diseases that require pharmaceutical intervention, as in the case of osteopenia (click here for details). This same drive also leaves many potentially effective but unprofitable remedies untested and relatively ignored. Drugs such as Low Dose Naltrexone (LDN) and the effects of diet and natural remedies have barely been studied for their impact on MS, simply because there is no profit to be made from them. Recently, a cheap blood pressure medication, Lisinopril, has been shown to have some promise as an MS drug. This discovery wasn't made by any run-of-the-mill research scientist, but by Dr. Jim Steinman, one of the inventors of Tysabri, a very expensive and controversial MS medication that is very effective but also carries with it the possibilities of very serious side effects. Dr. Steinman would like to see a full scale human study of the effects of Lisinopril, but says that "Lisinopril is as inexpensive as any prescription drug at this time, so pharmaceutical companies won't see any profits from financing a study" (click here for article). 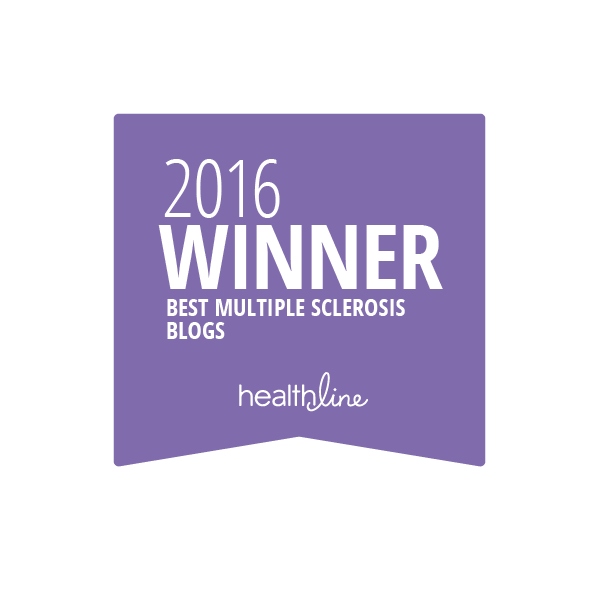 Thus, the drug remains unstudied in its effectiveness against MS, for now and probably forever. It's hard to see a solution to this disheartening status quo, other than a significant increase in the government funding of medical research. If the $2.5 billion cost of a single nuclear submarine – the US currently has about 75 commissioned subs – were redirected towards foundational medical research, untold thousands might eventually be cured of currently untreatable or undertreated dread diseases. Unfortunately, the trends are heading in the opposite direction, with more and more funding coming from the private sector as public dollars become scarcer and scarcer in this age of soaring deficits and cries for smaller government. Though private research certainly has tremendous value, keep in mind always that the profit motive dictates against a search for cures. Undoubtedly, the outcry over the price of the recently approved Hepatitis C drugs – which prompted the pharmaceutical company that developed and manufactures it (Gilead Pharmaceuticals) to cut prices, sending stock prices plummeting – will give pharmaceutical companies pause when contemplating similar research goals for other diseases. As a patient suffering from MS, the situation is incredibly frustrating, as it's clear to me that much of the research now being done on the disease is not conducted with patient benefit as its primary underlying goal, but rather with the profit potential and market share that each patient represents as the target. The medical industrial complex is a self-perpetuating entity that will not easily be shut down, the sheer force of its financial weight creating an almost irresistible momentum. I'll let my final words on the subject be these: As a just and honorable society, please, view me first as a patient, not as a consumer. Human suffering should never be treated as a commodity, regardless of the considerable economic incentives to do so. Godspeed on your well deserved vacation Marc. Thank you for all the years of posts and the archives of your posts. We'll look forward to your return. Marc take some well deserved time off you have definitely educated a generation of us MS'rs. Personal not my wife Deah passed away from Leukemia May 17th she courageously battled this terrible disease for 10 months, we have been together for 40 years (August) 'it' almost took my mind off of my MS. I'm so sorry to hear of your loss. I know how devoted your wife and you were to each other, and can barely imagine the depths of your sorrow. I truly believe that no person ever really dies as long as they live on in our hearts. Please accept my sincerest condolences. Take a break, Marc...you have more than earned it. We will all be waiting for your return as you speak for all of us and are inspiring! Thank you for reposting this...I just wish I knew something that we could do to make the rest of the population angry about this sad state of affairs. Sadly, this is all so true. Drs are limited to options that are fda approved and add to that patients are limited in choosing what their insurance policies will cover. There's no money in it, but making the medical field vocation rather than profession might produce more humane results. Love for fellow man vs profits. Of course that might require sacrifice, which society is not so hot on. Also, where is the donate to Marc and Karen's much needed vacation button? Or can I just not see it on my phone? Just an idea. We are all in this together and greatly appreciate your hard work researching and sharing your information with us. Have a restful vacation! Thanks, Briana. No, there isn't any "donate to Marc and Karen's vacation" button, and there never will be. I made the decision early on, when this blog first started becoming popular, that it would not be a moneymaking venture. That's why it's completely free of any advertising or sponsorships. I've no desire to profit from this horrible beast of a disease. 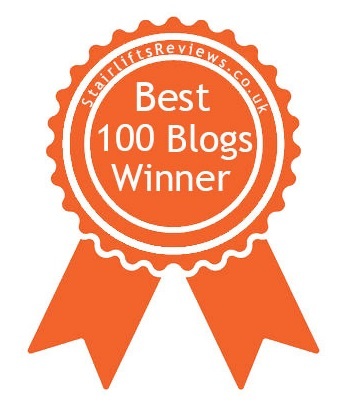 I hope your break allows you to return to your blog reinvigorated. Your writing is thoughtful and compelling. These musings in particular speak to me, since I was a physician for 25 years. 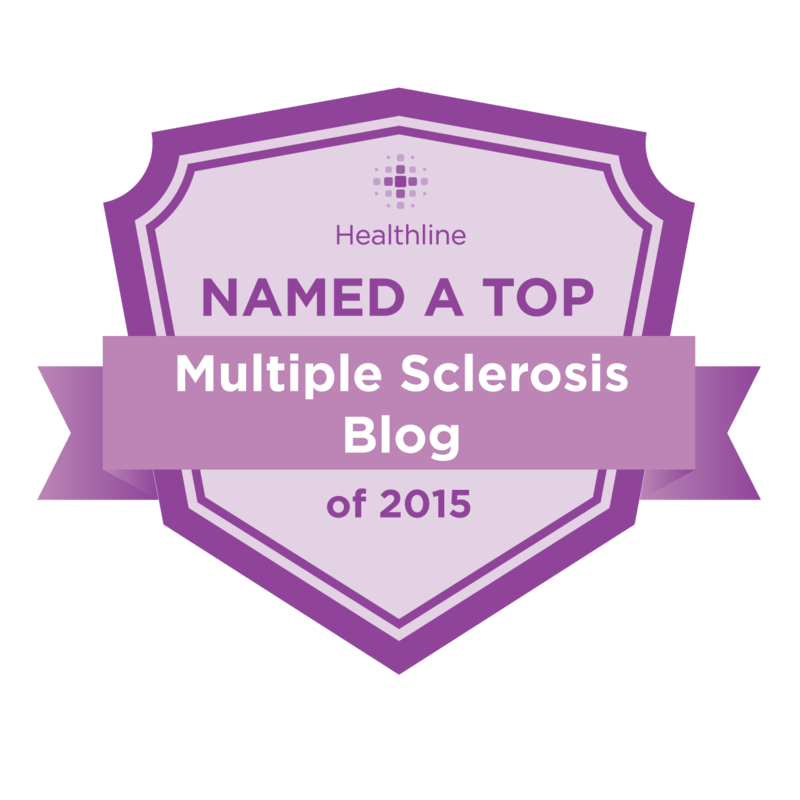 It has certainly been an eye-opening transition for me; I am now quadriplegic from progressive MS. I never noticed the machine when I was a cog, but now that I'm a "consumer", it's so starkly obvious. Have a good vacation, Marc. You are so creative in so many different venues. Perhaps it's time to turn that magnificent brain and your artist's eye to something else for a while! Hey Marc, enjoy your break. You deserve it! I hope this means you're getting the band back together, barnstorming the New England summer playhouse circuit! 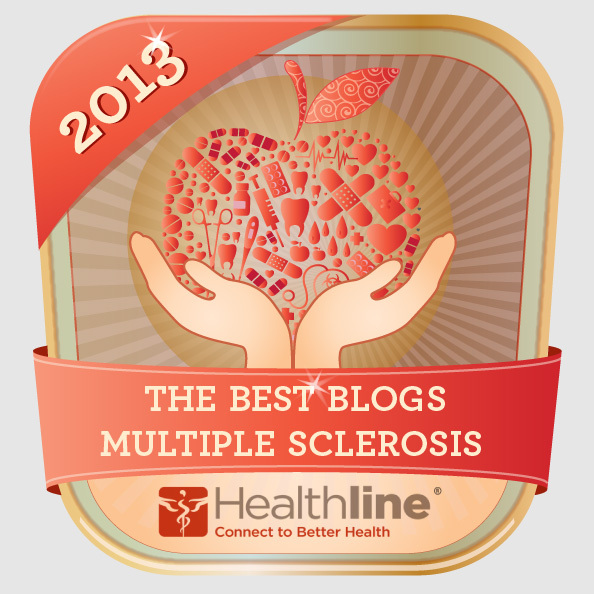 I'm hoping that they will make some big strides in curing MS soon.